Ooops. You broke the spell. Recently, I had a spectacular dining experience at Talula’s Garden in Philadelphia. And I mean…spectacular. From the thoughtful design details – both in the outdoor garden and the main restaurant/bar areas – to the creativity of the menu, each touchpoint makes you feel as if you’ve been transported to a chic urban farmhouse. The depth of authenticity was impressive, especially to a marketer like me, who can spot a “staged authentic experience” from a mile away. By the time the second course arrived, I had completely turned off my branding radar and lost myself in the enjoyment of the evening. It was heaven…until I went to the bathroom. …and POP! went the bubble of authenticity. 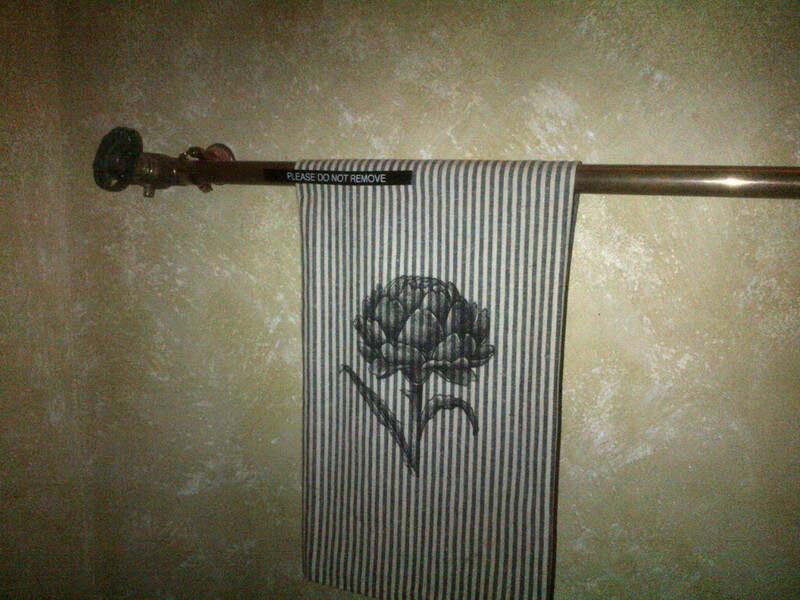 The farmhouse hand towel is a pleasing design detail. The black plastic Please Do Not Remove label…not so much. I felt a little like Dorothy when she went behind the curtain and discovered that the “Great and Powerful Oz” was just an average little man. What’s the lesson here? If you have to provide instructions for guests in order to maintain your image of authenticity, you’re just breaking the spell. Find another way to achieve your objective that doesn’t undermine the effective branding investment you’ve made elsewhere. But don’t let this stop you from dining at Talula’s Garden the next time you’re in Philly. You will completely excuse the hand towel label in favor of the absolutely delicious cuisine. And do yourself a favor: order the Dark Chocolate Bacon S’mores. You won’t regret it. We can’t help it: we’re practical. And we love to help people learn. So it’s not surprising that we’d start a blog called The Voice of Reason in Marketing…it’s our gift to hospitality and tourism professionals everywhere. Little nuggets of advice, drawn from our broad experience as the marketers, counselors, and trainers of travel and culinary businesses around the world, are posted weekly (or so) – enter your email above to get on the list. Our chief blog author is agency Principal Christina Miranda. Want her to speak at your next event? Learn more. Want to get our blog posts delivered to your inbox when they go live?